I have been an advocate of CORVAIR power for many years, especially when slipped into small and lightweight GERMAN cars like Karmann Ghia and PORSCHE. Through the years I have been fortunate to have installed CORVAIR engines into 356 PORSCHE, 911-912-914, Ghia and type 3 and many dune buggies. Today the CORVAIR has slipped in popularity but still makes lots of sense due to air cooling and flat design. 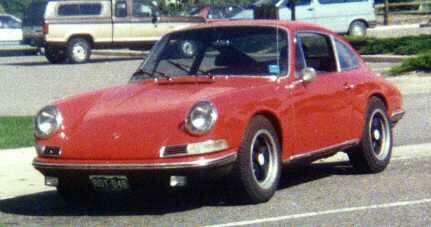 I bought a 1966 PORSCHE 912 with no engine (or very little else for that matter) in 1988. I installed a reverse turning 180hp turbo CORVAIR using a CROWN adapter to the 901 5 speed. Since then the car has had a progression of induction systems. I found the turbo system unhappy with the short gears of the 5 speed; I then built a blow through system and gave up on it for the same reason. Presently the engine is sitting under a ROCHESTER 4bbl and runs pretty well. I fabricated the sheet metal pieces from the engine to the body seal and the engine appears to belong in the car. I have patterns for the 911-912 and the 356. The 914 patterns were lost when I moved the shop to Golden. The car was sold to a local Corvair owner around 2005. The car is still driven in the area. 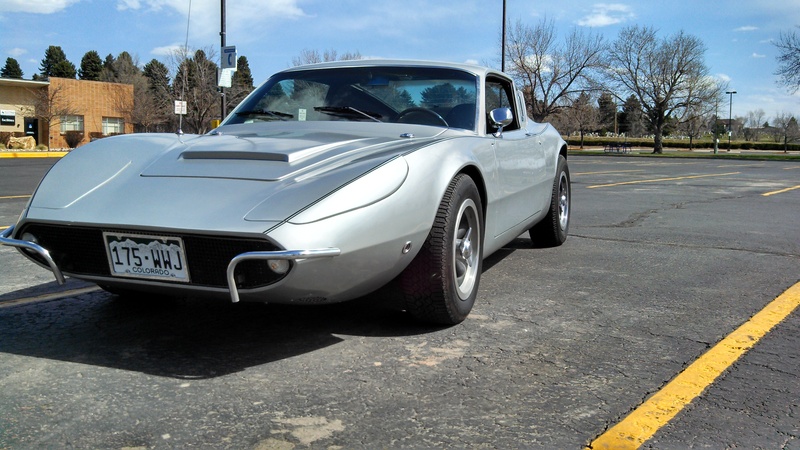 Here is my 1968 manx clone. 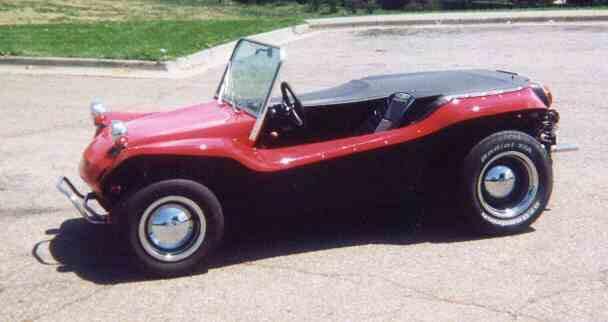 The body was a direct splash from a real MEYERS MANX by a fiberglass firm here in Denver . 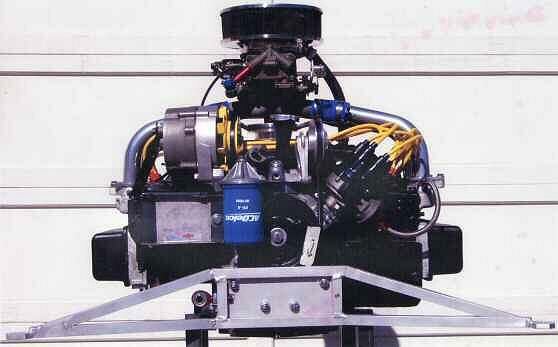 I tried a variety of engines starting with a 40hp VW, then a 1600 PORSCHE and finally a turbocharged CORVAIR. 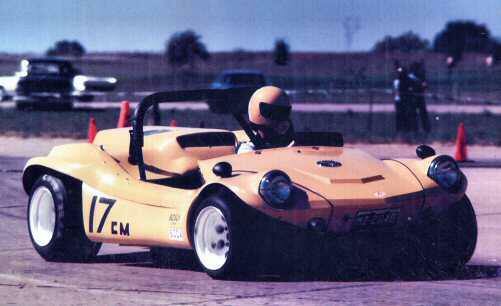 Through the years I drove it to work, in the mountains, autocross and hill climb events. I sold it in the late 70s but found it in 1996 beat up and broken. I pulled the body from the pan and redid the brakes, fixed over 100 holes in the body plus a new windshield and frame, new seats, fuel tank and the list continued. The turbo engine was gone when I found the car but a 110hp sends the 1200lb car down the road easily. I finished the car for the second time in 2000 The car went to a new owner after the 2011 Corsa convention.